Ahead of the official release, planned for December, Arturia has exposed the features, graphic interface and the first exclusive sound demos on its website. 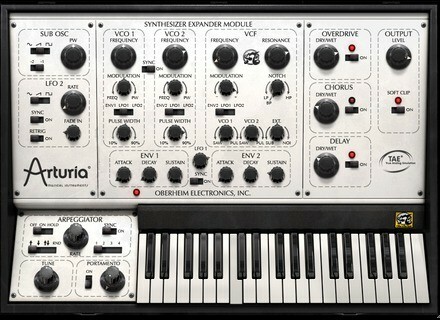 Check out the Arturia website at www.arturia.com for more information. Cycling'74 Max v6 Cycling ’74 released Version 6.0 of its Max media development tools. DNR Collaborative MixControl Pro R5 DNR Collaborative announces the official release of the RTAS version of the MixControl Pro mixing package. NI Maschine & Maschine Mikro Native Instruments has just launched a special offer for its Maschine groove production systems.